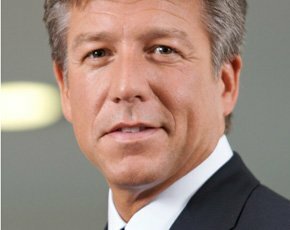 SAP has launched what CEO Bill McDermott called "our biggest launch in 23 years, if not in the entire history of the company", dubbed SAP S/4Hana. The enterprise resource planning product will, said the company, "help customers run simple" – the supplier's mantra since its customer conference, Sapphire, in 2014. It is built on SAP's in-memory database platform, Hana, and designed on the principles embodied in the Fiori suite of apps. The new suite is built only for Hana. At the end of 2014, Philip Adams, chairman of the UK and Ireland SAP User Group, and head of group IT at Irish construction company Mercury Engineering, told Computer Weekly the supplier was showing signs of increasing pressure on customers to move to Hana. The product will be available on the cloud, on-premise and in hybrid deployments, said the supplier. McDermott (pictured) said: "SAP S/4Hana is about uniting software and people to build businesses that run real-time, networked and simple. When Hasso Plattner [SAP founder and chairman of the SAP Supervisory Board] invented SAP Hana, we knew the day would come for SAP Business Suite to be re-invented for the digital age. "This is an historic day and we believe it marks the beginning of the end for the 20th century IT stack and all the complexity that came with it." During the announcement, Plattner spoke of the origins of the company's in-memory database – and its innovation agenda more generally – in brainstorming sessions with PhD candidates at the University of Potsdam eight years ago. The SAP Simple Finance system, announced at Sapphire in June 2014, "helps customers transform finance with instant insight and marked the first step in the SAP S/4Hana roadmap", the supplier said. SAP announced early adopter testimony for the enterprise resource planning (ERP) product from Accenture, Capgemini, Deloitte Consulting, Ernst & Young and PwC: "Partner quote sheet: SAP unveils the next generation of enterprise software with a new business suite, SAP S/4Hana".